Alan was in the army for 7 years, he worked with tanks that are worth millions of pounds. He was medically discharged with a back injury that means he is cannot take a role that means he has to sit, drive or do manual work. 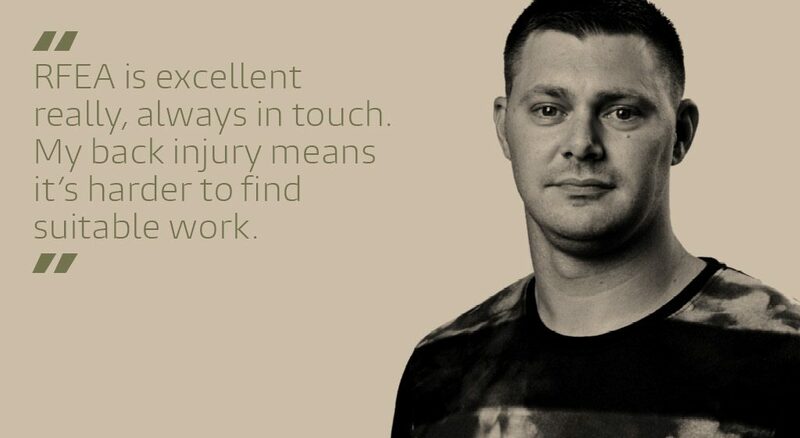 Before he joined the army, Alan was an experienced roofer and slater but his injury means that he cannot go back to this work, although his skills are sought after and he would be well paid. He is currently interested in working on the Railways and is interested in signalling and electrics, his electrical skills have been tested out re-wiring his brother’s house.